I’m a fan of the more moderate seasons to visit Italy. I think Autumn and Spring are the best times! You avoid the heat and the big crowds you find during the summer period and temperatures from March to June and mid-September to October are usually comfortable. In Liguria there are plenty of things to do and to see during the spring! 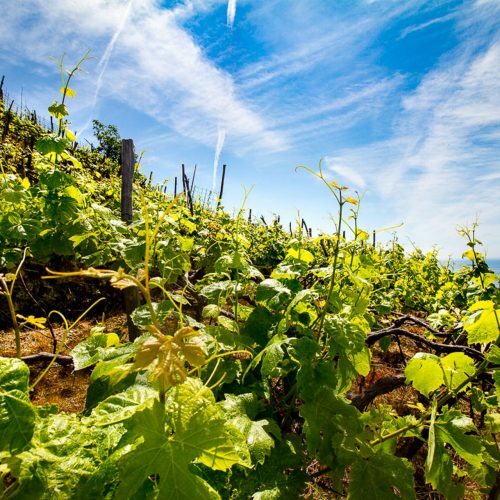 Don’t think of the Italian Riviera and Cinque Terre as only a summer destination. Let me give you some ideas for your Italian spring vacation in Liguria, I know you are going to love them! Keep reading and start planning your Italian holidays now, springs is just around the corner… even if it’s winter! Some Spring Festival ideas in the Italian Riviera not to miss! In early May Liguria’s capital, the historical town of Genoa holds what the Slow Fish Festival, a celebration of the seas. There is a traditional fish auction, demonstrations on how to cook fish and seafood, and lots to eat. 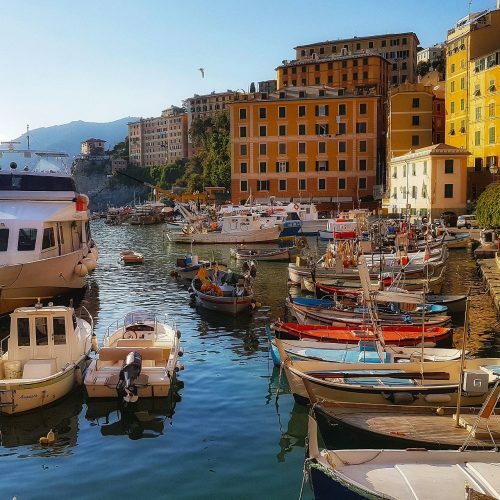 Each year in May, in the multi-colored fishing village of Camogli is held the “Sagra del Pesce” (Fish Festival) to celebrate the feast of Saint Fortunato, the patron Saint of fishermen. 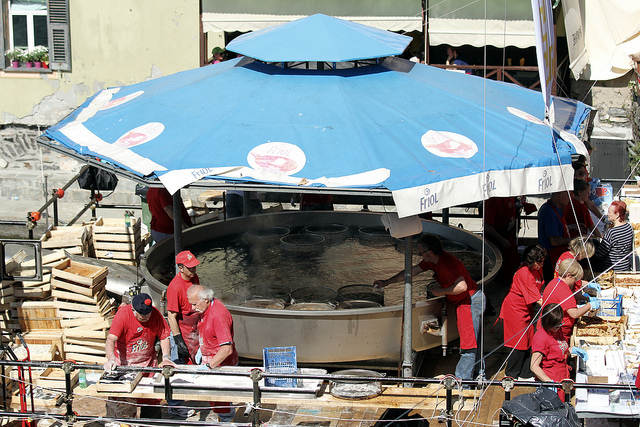 A unique feature is the giant frying pans (about 12 feet or 4 meters in diameter) that cook fresh fish in the open on the last day of the festival. Everyone gets free fried fish! 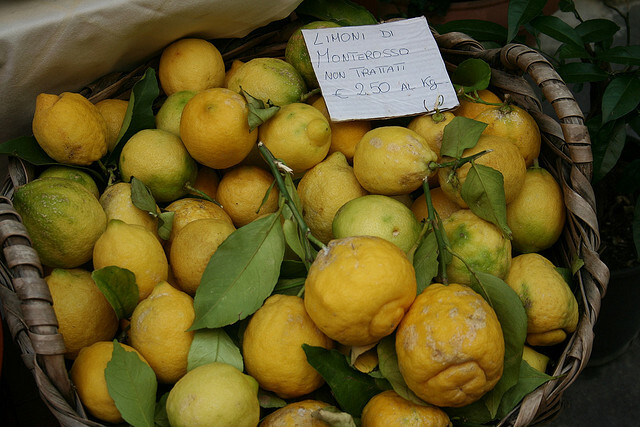 In late May, the entire village of Monterosso in Cinque Terre gets decorated with lemon leafs and fruits for the Lemon Festival, so you can walk around the town and smell the intense flavor of the lemon from this area of Liguria. At the end of the day, there will be a prize awarded for the biggest lemon of the year, that local farmers have brought down for their own land. Outdoor activities are ideal in Springtime! After a cold, grey winter, the blue skies, new leaves and warm temperatures welcome everyone to come out and breathe the new season! For example I love to reach San Fruttuoso bay and relax on its beach overlooking the glistening waters. A must do if staying in the Italian Riviera, near Portofino. You can do this tour by foot or boat. The boat which leaves from Portofino, Camogli or Santa Margherita is comfortable and you can enjoy the beautiful Riviera from a different perspective. But, I love also to hike and reach the bay of San Fruttuoso by foot enjoying the gulf, its amazing views, stopping in the lovely villages along the route. San Fruttuoso is a medieval village surrounded by a lovely beach which is the home of the Benedictine Abbey, a beautiful building built in the early 13th century! 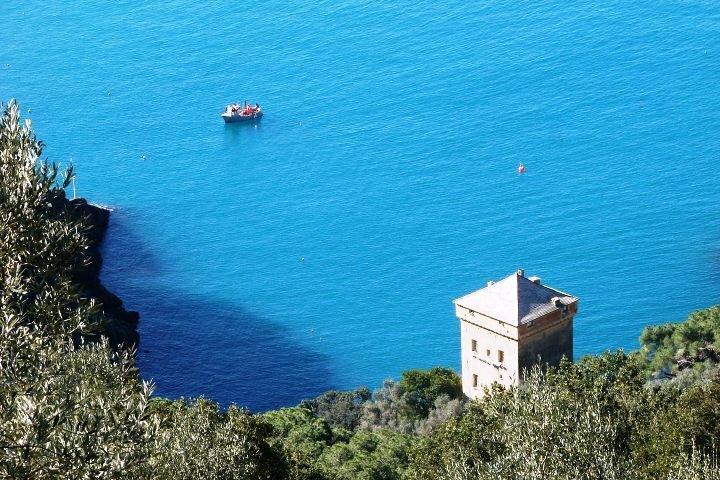 A gem in the ligurian gulf. 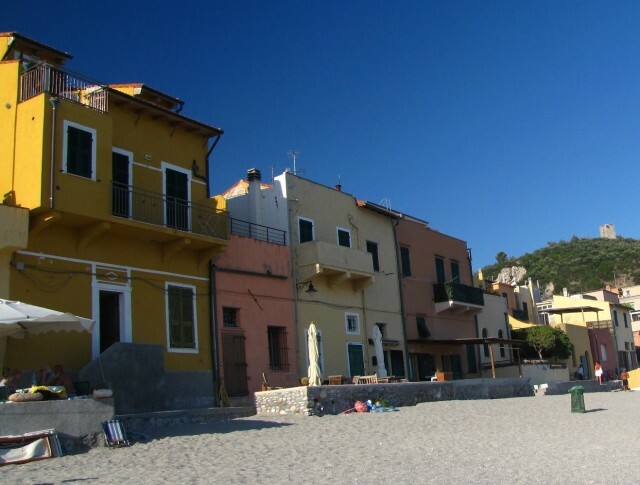 In the western Riviera, springtime for me means take walks and relax in the beautiful fishing village of Varigotti famous for its Saracens houses, so-named for their shape and pastel colors which evoke traditional Mediterranean scenes. I love to enjoy the clear blue sea, the narrow alleys, the old village, the castle and the church of San Lorenzo. They are a unique setting for a different kind of tour! Then, when it comes to the Riviera dei Fiori, one of my favorite places where to breathe the new season are the Hanbury Gardens. You know, the area where the gardens are situated have a perfect climate all year around, but in Spring they are particularly beautiful. This area was so perfect that a gentle Englishman, Sir Thomas Hanbury, decided to make his dream come true right in that area. He created in 1867 one of the most important Italian botanical gardens with exotic plants coming from all parts of the world. The visit to these gardens which also have amazing views of the blue Mediterranean sea till the French border, is a must! You’ll be enchanted by a wonderful ancient Roman road crossed by Popes and Emperors during the past times and a villa with rare paintings. 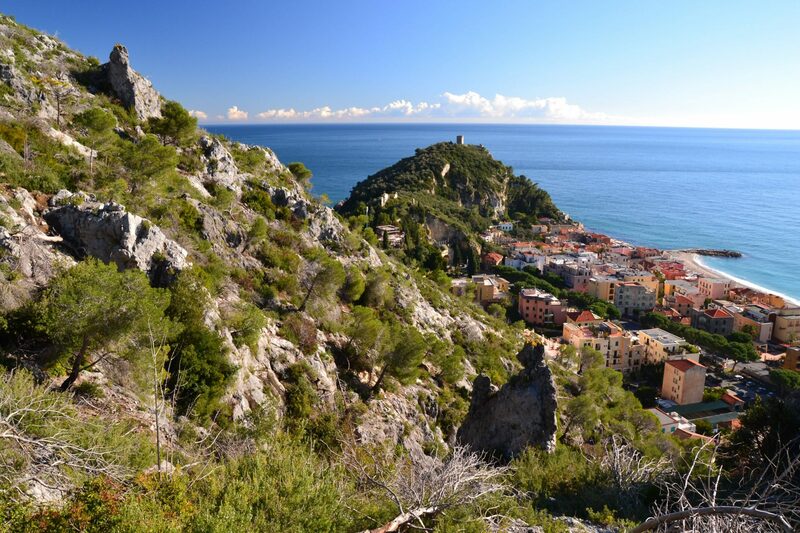 Liguria, known as the Italian Riviera, has a lot to offer during the Spring period. Keep following us, subscribe to our newsletter and don’t miss the latest news!